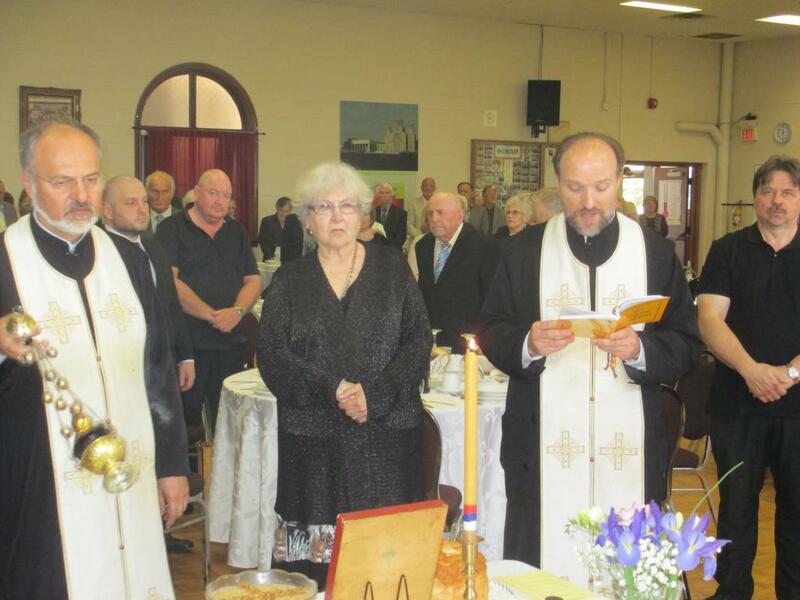 Оn Sunday, May 20, 2018, on the feast day of Appearance of the Holy Cross in Jerusalem, something very special happened at the Serbian community gathered aroudn the Catheral church in Hamilton of our Diocese of Canada. On that the hard working Kolo Sestara prepared a Slava banquet in honor of their heavenly patron and protector, St. Nicholas. The celebration began with the Divine Liturgy. Many people gathered at the Cathedral church to lift their prayers up to the Lord God, the giver of all goods and His righteous, our father among the Saints, St. Nicholas. Very Reverend Fr. Djuro and Fr. 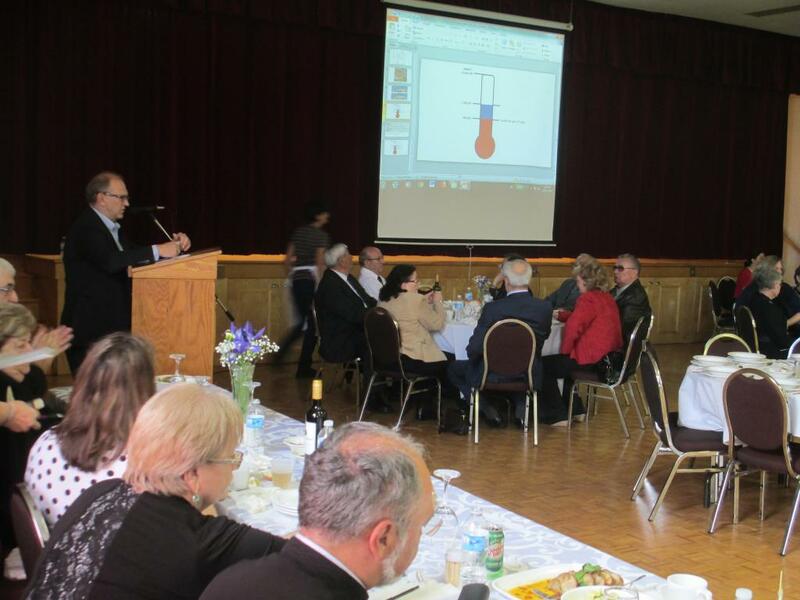 Dejan, on behalf of the kuma of the Slava, Mirjana Ivosevic Kobilski, called all those in attendance to the church hall where the Slava banquet was prepared. 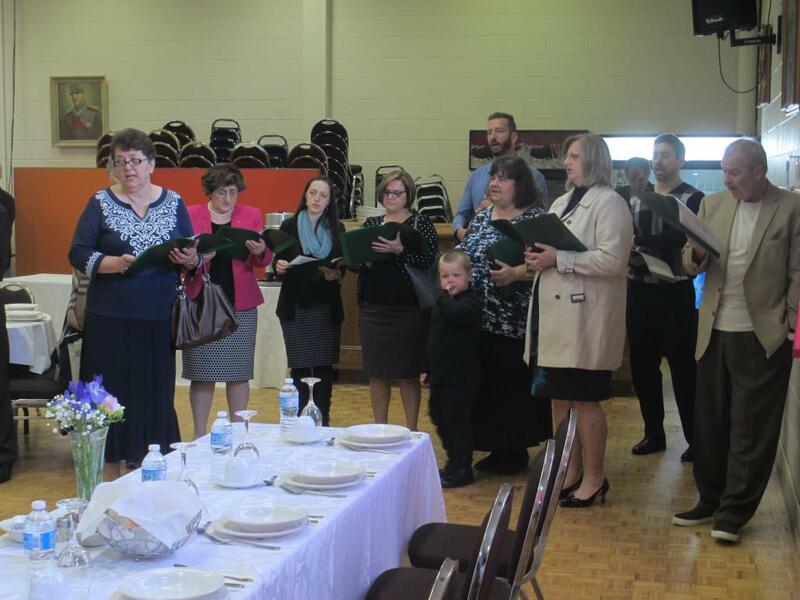 After blessing and breaking the Slava kolach Danica Pakac addressed all those in attendance, expressing her gratitude to all that came to take part in the celebration and all those who, in any way, help in the work of their church organization. "The renovation and addition to our church hall is a great project and it is a great need for our parish," Danica noted and on behalf of the Kolo Sestara gave to the building fund $20,000. On behalf of the cathedral clergy, Prota Dejan greeted everyone and thanked all of those who help in the progress of their community. "May God's blessings be upon all of you through the prayers of St. Nicholas," Fr. Dejan said. The president of the Building Committee, Vlado Sobot, spoke about all that already been achieved in the expansion project and renovation of the hall. A video presentation was viewed by all and greeted with thunderous applause. 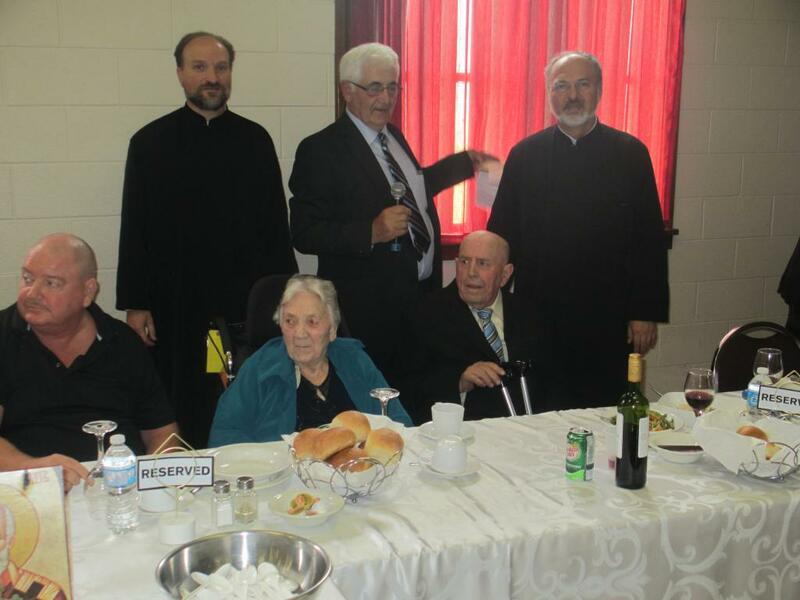 Church board president, Miroslav Cucuz, in his address, greeted everyone, particularly the hard working Kolo Sestara and expressed his gratitude to one long-time parishioner who, together with his wife, donated $500,000 to the Building Committee! The entire hall was filled with the soud of applause. All eyes were directed at one table where Dane Djukic sat with his wife Ursula, as fellow parishioners approached to greet them. Many were motivated by this great donation to offer their own donations. As a token of gratitude of this act of great love for this Church and people, the cathedral clergy said that they would regularly offer prayers for the salvation of their souls while Miroslav Cucuz, as church board president, said that at the entrance of the new hall a plaque would be placed with the names Dane and Ursula Djukic, great benefactors of the St. Nicholas Catherdal church of the Diocese of Canada. This great and significant gift to our community in Hamilton, gathered around the cathedral church, represents a huge step in realizing this important undertaking in the renovation and expansion of the hall. We hope that , with God's help and through the prayers of St. Nicholas, already this summer we will begin with this project.